HABIT: Upright on thick green stems. 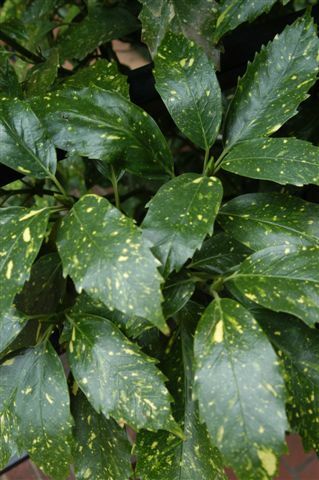 Yellow spots on long oval leaves. Native to Japan. CULTURE: Shade, moist soil and good drainage. USES: Background, coarse texture, screen or accent plant. 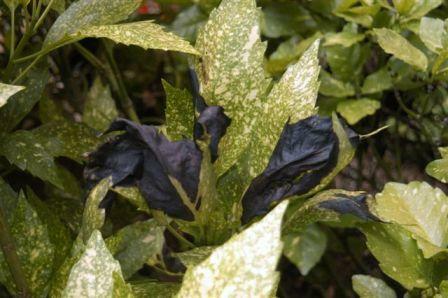 PROBLEMS: Scale, nematodes, mealy bugs, spider mites – although none of these are serious. NOTES: Also available in green and dwarf forms. Aucuba leaves burned by the sun.